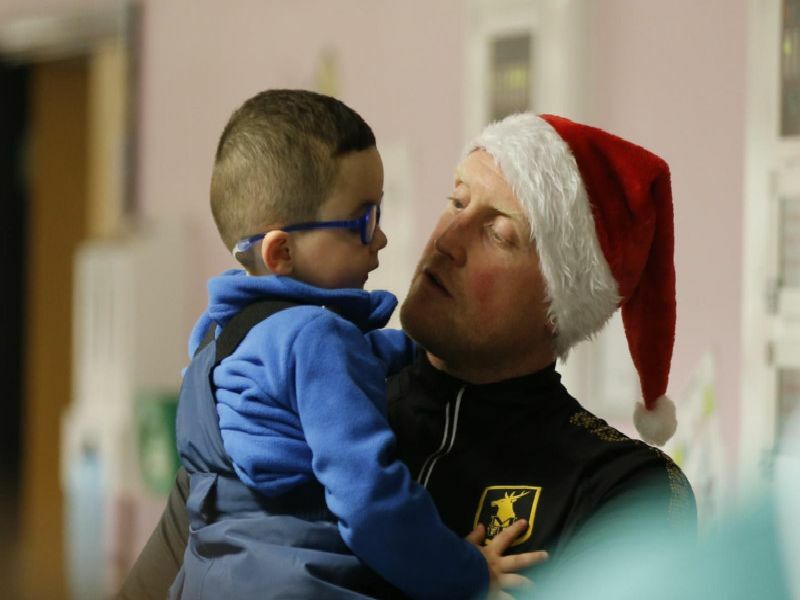 Mansfield Town's first team players paid a festive visit to poorly children at King’s Mill Hospital yesterday (December 11). The players bought the gifts with money accumulated at the club's Christmas fair, while Booker Wholesale also contributed. 5. #Wed Dec 12 12:07:16 GMT 2018''[IPTC]Source=''[IPTC]Application\ Record\ Version=2''[IPTC]Copyright\ Notice=other''[IPTC]Object\ Name=The first team with a young girl. ''[IPTC]Caption/Abstract=Photograph courtesy of Mansfield Town Football Club. ''[IPTC]Headline=The first team with a young girl. Photograph courtesy of Mansfield Town Football Club. 6. #Wed Dec 12 12:07:17 GMT 2018''[IPTC]Source=''[IPTC]Application\ Record\ Version=2''[IPTC]Copyright\ Notice=other''[IPTC]Object\ Name=The first team with staff on the ward. ''[IPTC]Caption/Abstract=Photograph courtesy of Mansfield Town Football Club. ''[IPTC]Headline=The first team with staff on the ward. 7. #Wed Dec 12 12:07:19 GMT 2018''[IPTC]Source=''[IPTC]Application\ Record\ Version=2''[IPTC]Copyright\ Notice=other''[IPTC]Object\ Name=The first team at the ward. ''[IPTC]Caption/Abstract=Photograph courtesy of Mansfield Town Football Club. ''[IPTC]Headline=The first team at the ward. 8. #Wed Dec 12 12:07:21 GMT 2018''[IPTC]Source=''[IPTC]Application\ Record\ Version=2''[IPTC]Copyright\ Notice=other''[IPTC]Object\ Name=Midfielder Otis Khan at the ward. ''[IPTC]Caption/Abstract=Photograph courtesy of Mansfield Town Football Club. ''[IPTC]Headline=Midfielder Otis Khan at the ward.